At tonight’s Fine Gael parliamentary party meeting, Leo Varadkar said support for Ireland in Europe on Brexit remains ‘rock solid’. IRISH POLITICIANS HAVE been told to stay out of UK political party leadership issues ahead of tonight’s no confidence vote result in British prime minister Theresa May. Ministers, TDs, senators, MEPs and government spokespeople were told not to comment to UK journalists and outlets ahead of the Conservative motion in Westminster. Tánaiste Simon Coveney refused to be drawn on the issue this evening, telling the media that he wanted to refrain from commenting for fear that anything he says might be misconstrued or taken out of context. However, it is clear the Irish government’s position is it wants calm and stability to prevail, with May going on to win the backing of the House of Commons for the contentious withdrawal agreement. At tonight’s Fine Gael parliamentary party meeting, Leo Varadkar said support for Ireland in Europe on Brexit remains “rock solid”. He said the Irish government are holding firm to their position which led to last month’s withdrawal agreement. He added that the withdrawal period could yet be extended and preparations here will continue for a potential no-deal scenario. The Taoiseach was again accused of not preparing for a no-deal Brexit scenario today, with Fianna Fáil’s Micheal Martin stating that the public should know all the details. He said a recent government memo which had been brought to government by the Tánaiste warned that a variety of challenges had arisen with the potential to impact on the country’s capacity to be Brexit-ready. The memorandum sets out risks associated with site acquisition, potential lease-break rental options, statutory planning, procurement and construction issues at the ports and airports which will be most impacted by Brexit. Ministers were warned that the scale of the problem facing the State was exceptional. It further warned of detailed plans on the upgrading of Rosslare Harbour, Dublin Airport and Dublin Port, with significant issues identified regarding the capacity of Rosslare to be ready by 29 March 2019. “There has been a general tendency on the part of the Government to be coy and to withhold information from the public on contingency planning for Brexit, specifically a “no deal” Brexit, on the apparent basis that it would cause undue panic. “I disagree with that view and believe the public should be made fully aware of all the implications of Brexit, irrespective of the scenario which ultimately emerges. The challenges and lack of preparation for Brexit should be shared with the public in full,” Martin told the Dail today. Before stating that his party is willing to continue in the confidence and supply deal with Fine Gael, Fianna Fáil leader Micheál Martin said there is still hope that the Brexit deal can be ratified, “because of the damage which any alternative will cause, the risk of a no-deal outcome has risen dramatically”. “Circumstances have changed and we must respond accordingly.Ireland is now in a period of heightened danger for our economy and for a political settlement which has been a beacon of light in our modern history,” said Martin. Following today’s announcement by Martin that confidence and supply will continue, the Taoiseach told the Fine Gael parliamentary party members that Martin made the right decision. He drew comparison to events in the UK and what has played out in Ireland today. 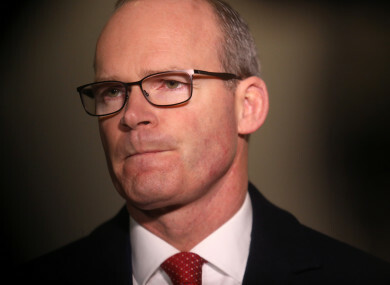 Tánaiste Simon Coveney said the patience shown by Fine Gael since the talks began were worth it and added that it was the right decision for the right reasons by the Fianna Fáil leader. Email “Irish politicians told to stay silent ahead of Tory vote with hopes Brexit no-deal can be avoided”. Feedback on “Irish politicians told to stay silent ahead of Tory vote with hopes Brexit no-deal can be avoided”.